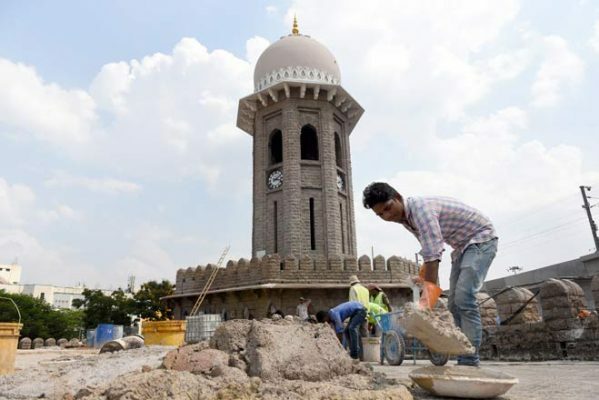 Hyderabad: One of Hyderabad’s popular heritage landmarks, Moazzam Jahi Market, which was lying in a dilapidated condition for several decades, was adopted by the Principal Secretary of Municipal Administration and Urban Development Arvind Kumar for restoration works last year. 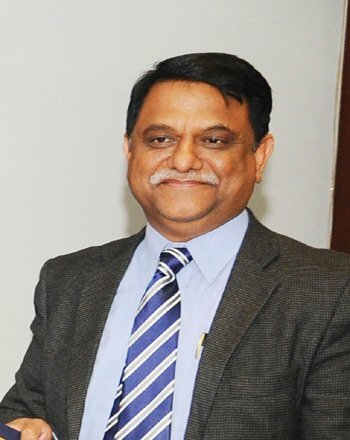 “MJ Market for us is an experiment and gave confidence that we can take up restoration of more heritage structures,” Arvind Kumar tells Gaura Naithani. Q. What were the immediate challenges? A. On adopting the structure, we thought it wouldn’t take us more than four months to restore it. But as work progressed we realised that the roof has grown weaker over the years due to neglect. All the iron rods were rusted posing grave danger to the shops inside. The entire roof has to be replaced layer by layer. A drainage system was installed to drain out the rainwater which used to get collected inside the inner circle. Also, any heritage structure cannot be restored by regular contractors. So, GHMC empanelled a team of conservation architects who are working with trained labourers. The material used is is not cement but lime mortar that ensures longevity. Yes, it is a bit costly and time consuming, but once completed, the structure will last for a couple of more centuries. Q. Besides restoration, are there any additional upgradation? A. We will soon take up the entire flooring of the area with a different kind of stone. Uniform signage will be installed outside all shops and lit up with soft lighting. Soon there will be a stone encryption outside the market too stating the structure’s history and purpose. The Nizam era drinking tap waters are being retained as they add a traditional touch. Q. What are your expecting out of this renewed structure? A. Hyderabad is known for its culture and heritage, but today, we have limited tourist attractions for both locals and the visitors. There used to be the Tank Bund at one point but now it is only the malls and the theatres. These places which have heritage value should become places of congregation for families to spend time and feel good about being in Hyderabad. MJ Market has an inner circle with empty shop areas. We are planning to develop it in an European way with lots of eateries and heritage furniture in the open for seating. We want to make it family friendly. Q. What is the long term plan? A. MJ Market for us is an experiment. Let’s put it that way. This project has given us confidence that we can take up the restoration works of more heritage structures that are in a dilapidated condition. This way we can build a tourist circuit. We are in the process of engaging the civil society and various trusts. A Heritage committee with the GHMC is being formed. First, all the structures need to be fenced and cleared of the garbage. Once encroachments is prevented, restoration can be taken up any time we want. Q. When can we expect to see the restored MJ Market? A.We are expecting that it should be ready by June 2. The idea is to open the market in its restored form on the State Formation Day.